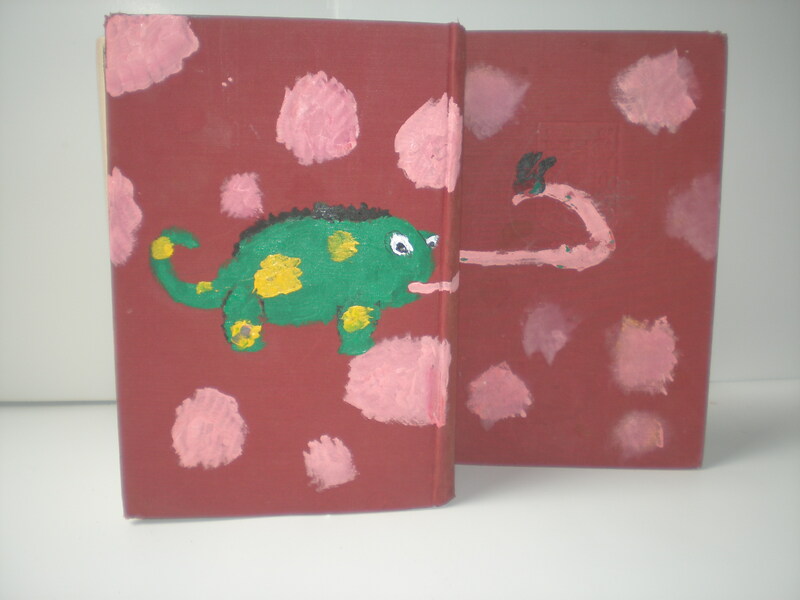 Ever notice that some books, especially older ones, are covered in canvas? They are! 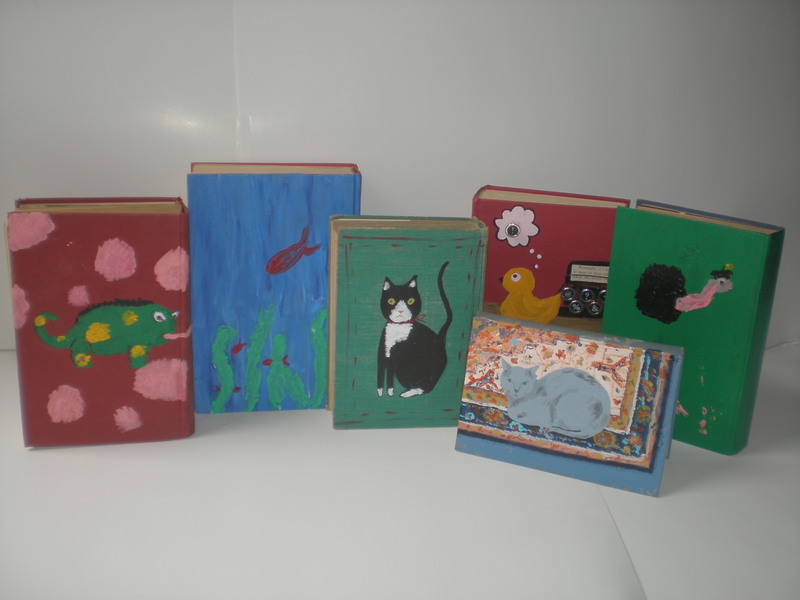 So we thought we’d try painting on a few book canvases. It was fun. And the books were free. We picked them up at the end of a library sale. 2. 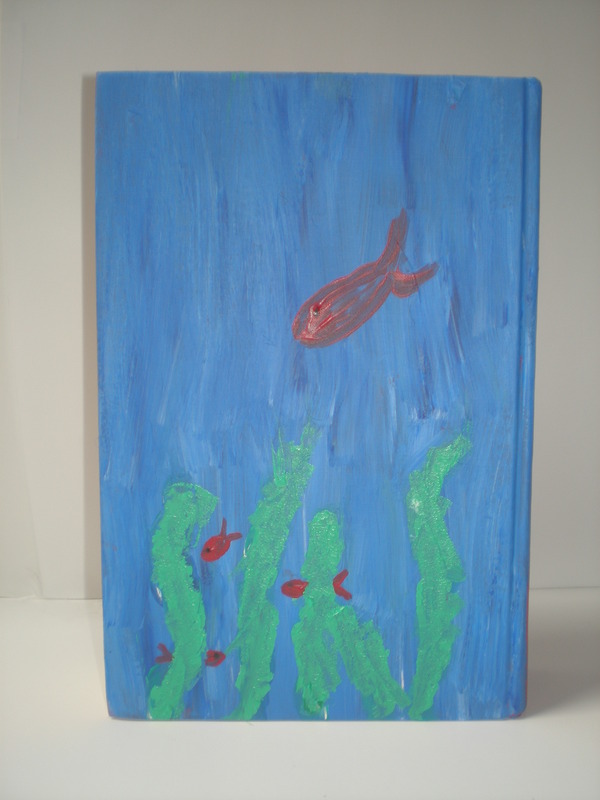 Dip your paintbrush into paint and begin painting! Mixing blue and white to make the color for the water was fun! Try painting both covers for a longer picture, or a front side with a surprise back! 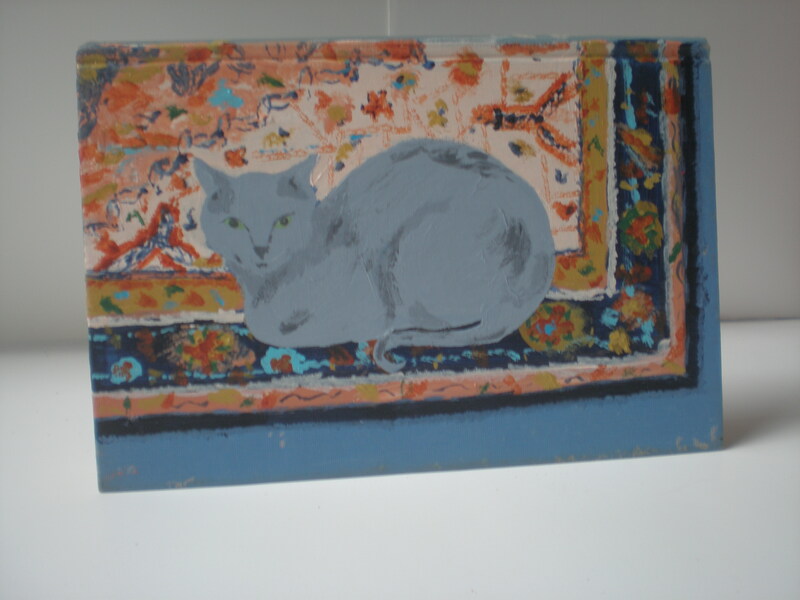 My mom painted this picture of my grandmom's cat.